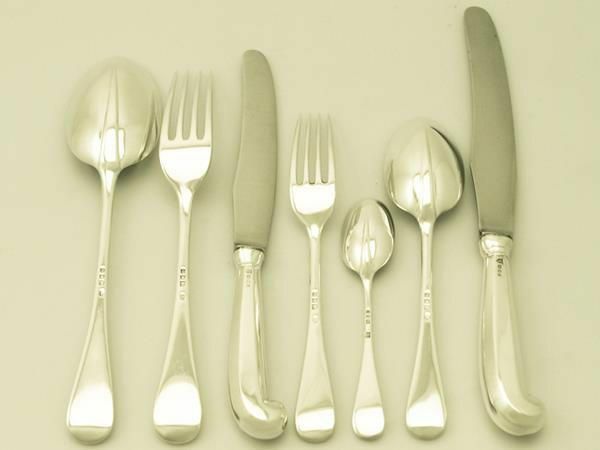 Here at AC Silver we pride ourselves in the range of variations of hollowware and flatware available for sale. 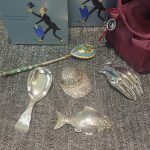 The expansive style differences can sometimes cause a simple shopping experience to have more design options than our customers expect, but have no fear, the shop staff are on hand to help guide you through the options until the treasure is found. 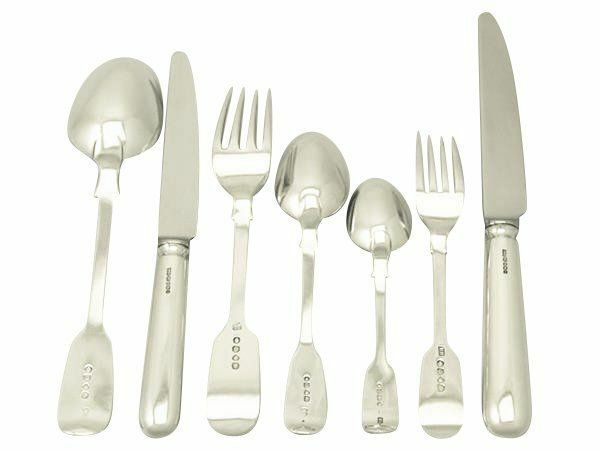 On the phone we are frequently asked about the canteens of cutlery available, with a particular preference for a certain silver flatware pattern or maker. 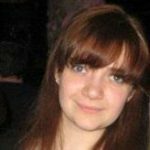 The learning curve starts when customers merely wish to know how to start the hunting process and do not fully understand the differences between each service based on a pattern style or even the included components. 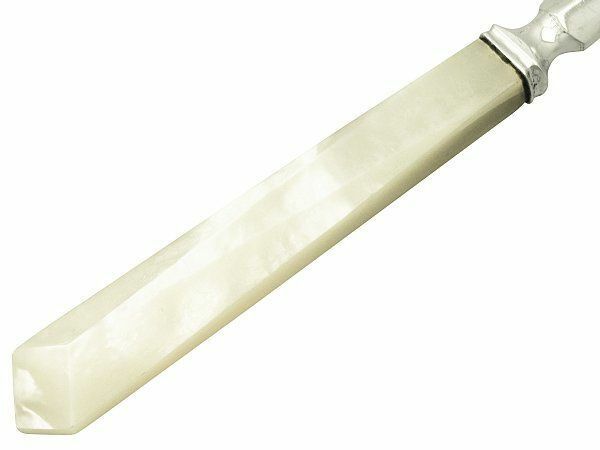 Associated knives with this service would be pistol grip. 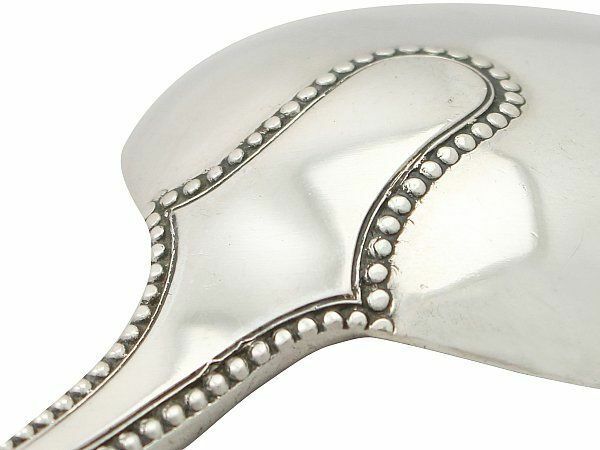 This silver flatware pattern evolved around 1710 from the late 17th century Trefid/Dog Nose pattern which preceded it; a style with had a tri-lobed terminal. 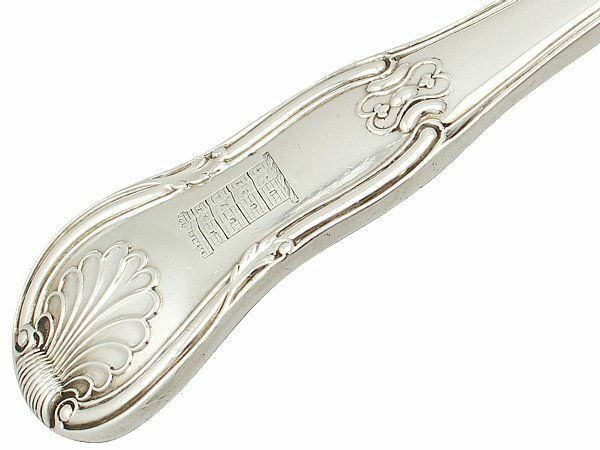 This new Hanoverian pattern saw the handle terminal rounded off, separating the design characteristics. Hanoverian pattern is appropriately named due to its manufacture spanning the majority of the 18th century during the reign of the House of Hanover Dynasty (George I, II and III). 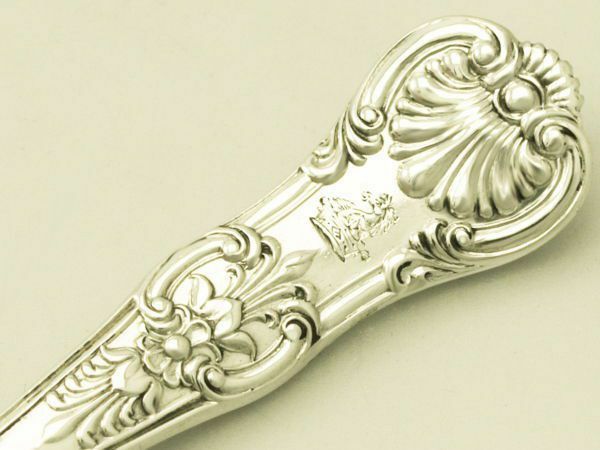 If each piece were to bear a crest it would be engraved the reverse surface, as it was still common practice to lay each component in the French manner (bowls and tines facing down). 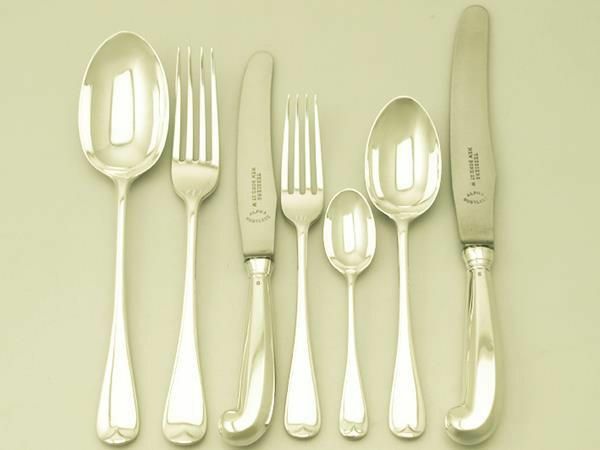 As the development of the pattern continued, design saw a diminished central ridge the anterior surface resulting in a pip to the handle terminal in addition to a more egg shaped bowl to each spoon. 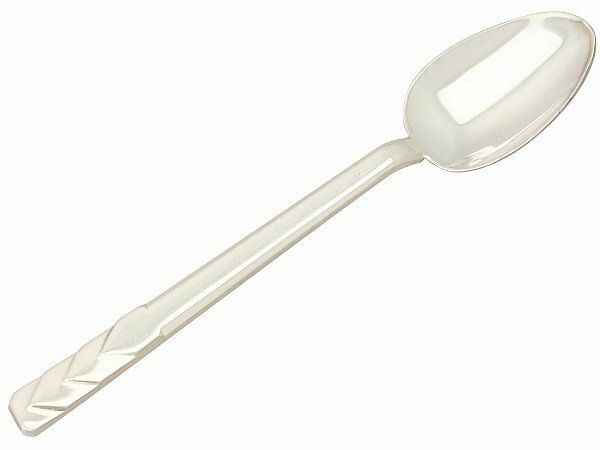 In the 1750’s, when the upturned Hanoverian serving impliments were seen to be awkward to use, the Old English pattern subtly changed the rules and determined the end of the spoons were to turn down not up. 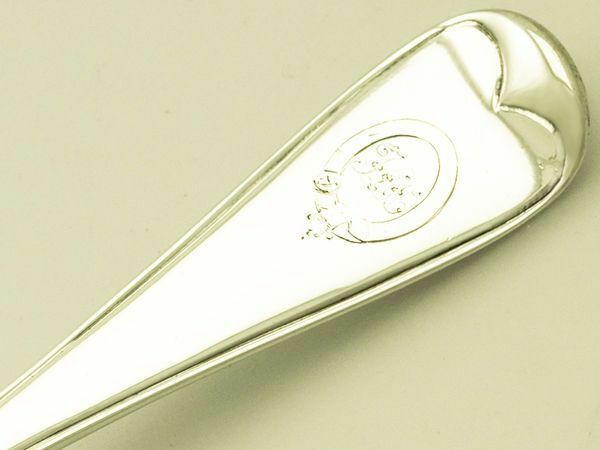 The forks were not developped in the same manner for ease of handling, but this meant the engraving of a crest to a fork would remain on the underside whereas it changed to the anterior surface for each spoon. 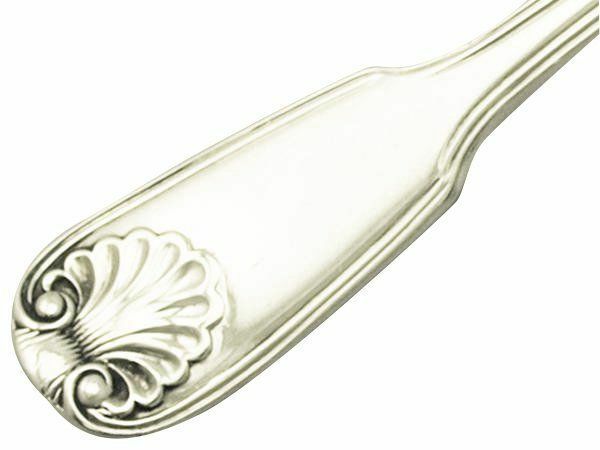 The 19th Century saw the uprising of the Fiddle pattern, another plain pattern available without the distinguishable shoulders and given an alternative name of Oar pattern. 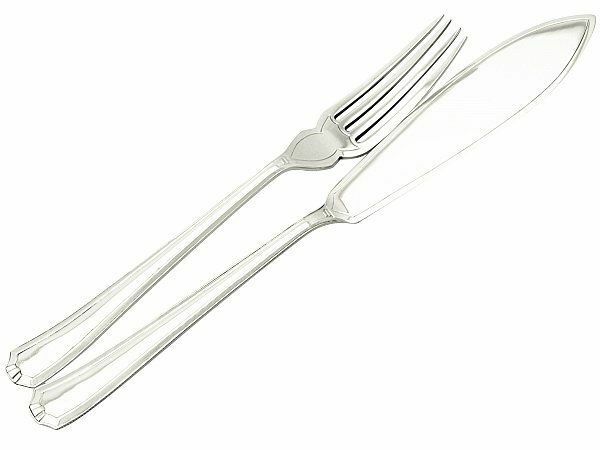 This pattern originated in France where both the fork and the spoon terminals turned up, whereas in England the forks and spoons were manufactured to reflect the positive and successful changes implemented with the Old English pattern. 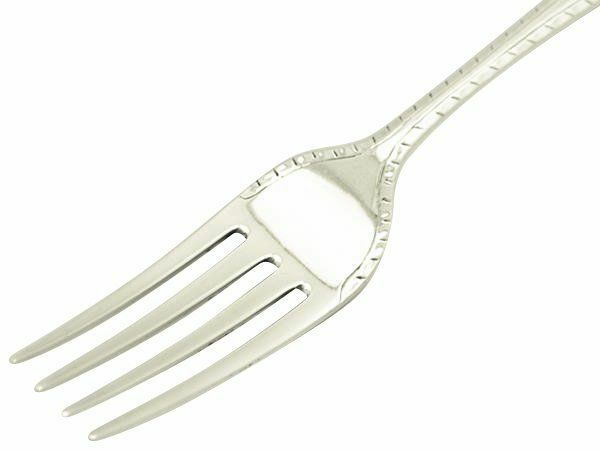 A long rat-tail like ridge found to the reverse of the bowls/base of the tines in Hanoverian pattern flatware; this is a continuation of the development from Trefid/Dog Nose as they too could be found with a Rat Tail. 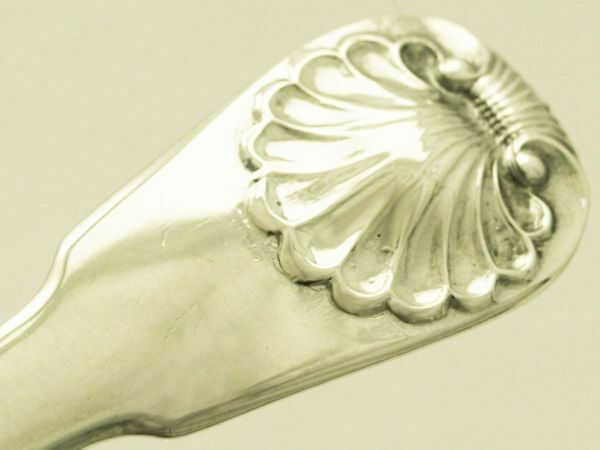 This detailing helped determine the location of the hallmarks from the bowls to the stems/terminals. This pattern was a strange occurrence for its time, the 1760’s brought about the development of the Hanoverian pattern and this more creative pattern is presumed to be used alongside it. 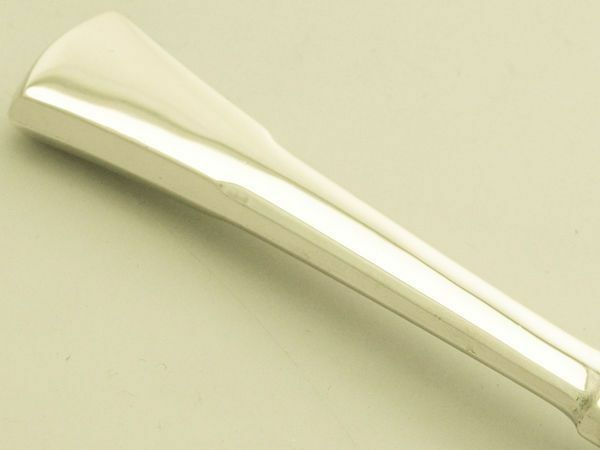 This handle design was limited to serving pieces as the tapering terminal made each item slightly more awkward to use. 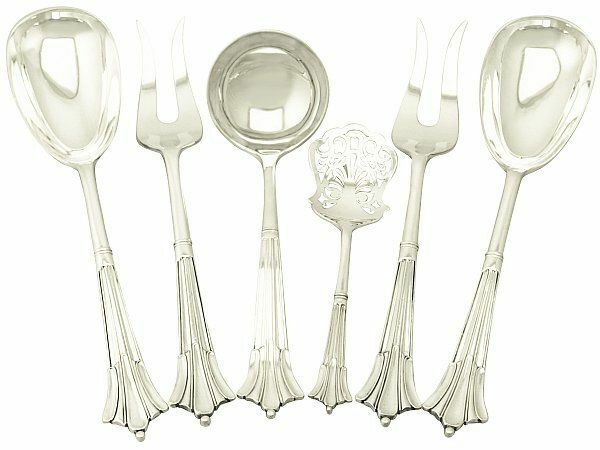 This Mid-late 19th century design is a variant of the Onslow pattern. 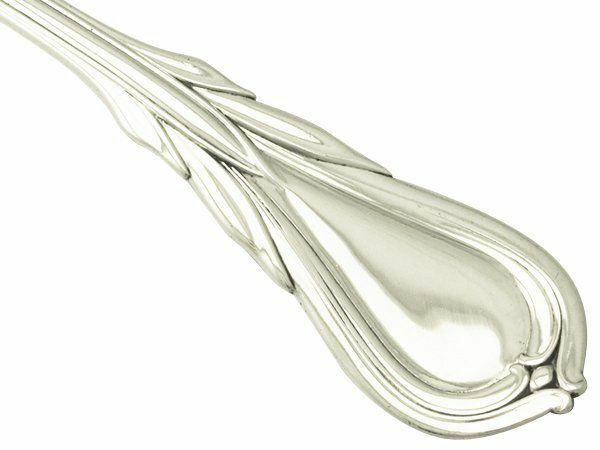 Due to the down turned handle being an inconvenience during use, this straight handled channelled alternative was developed. 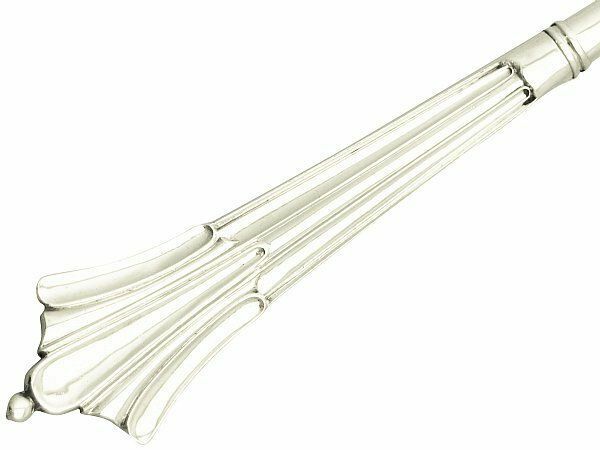 Unlike designs before it, this mid-late 19th century silver flatware pattern was crafted to cater to the more eclectic of tastes. 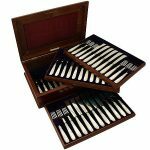 Many established companies made their own pattern books, and although several of the late Victorian patterns/names are no longer generally used, ones such as the Lily pattern have become highly collectable and popular today due to its diverse flowing beauty. 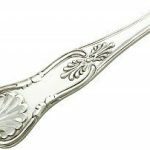 There are many patterns that can be placed in this category, but there are three main patterns crafted in this early 19th century style. 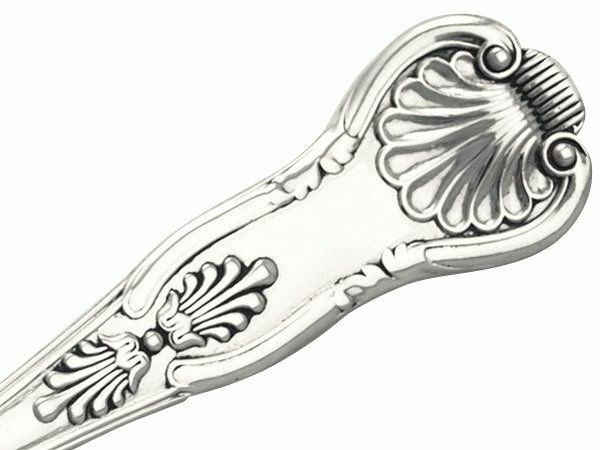 Each piece has a ‘King’s shape’ handle consisting of a waisted lobed terminal adorned with a distinguishing feature. This is the simplest style of the three patterns. 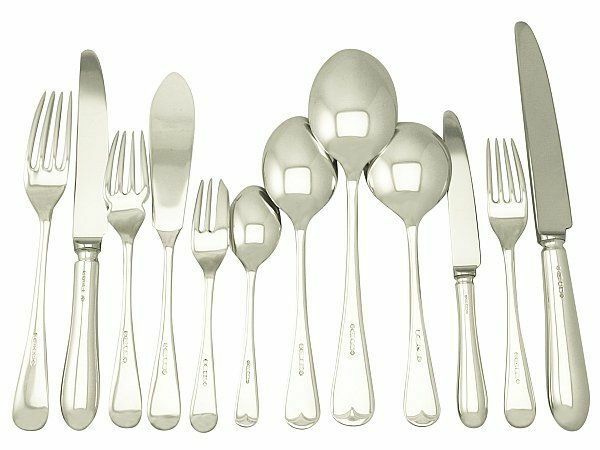 By the time the 20th century came about is there any surprise that the iconic styles around the world were reflected in everything, including flatware. 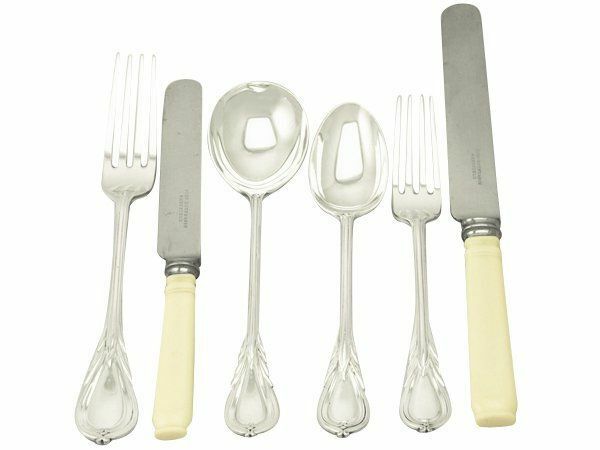 The silver flatware development was to encourage the up and down turned handles to become straight and the style of the three pronged fork from the late 17th century was revived. 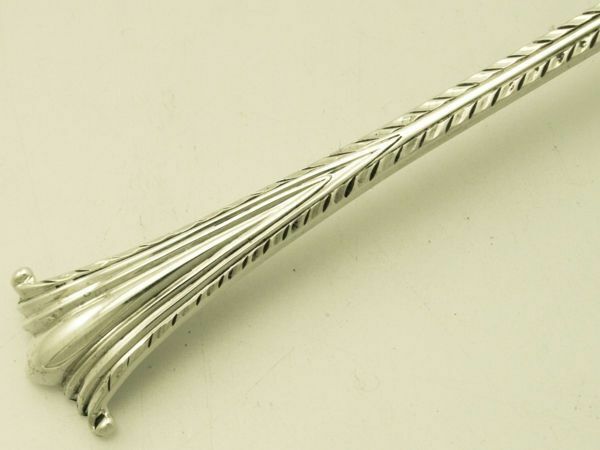 The Art Deco period saw the re-popularisation of the plain tapering handles accented with simplistic designs, taking advantage of all angles and the pattern books became full with the era’s fashions and passions. 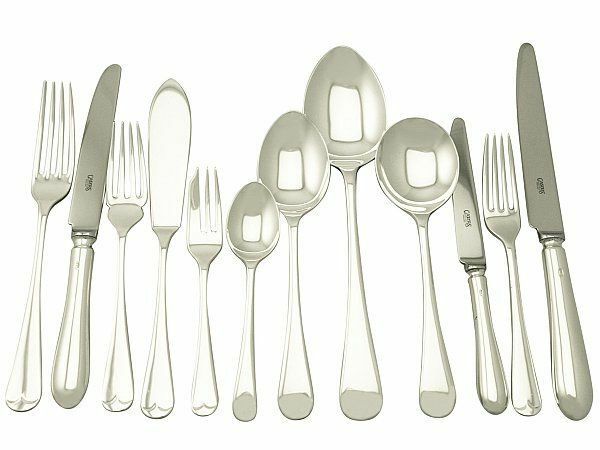 So there we have it, using the basics of the silver flatware patterns the complexity of the desired service can be determined. 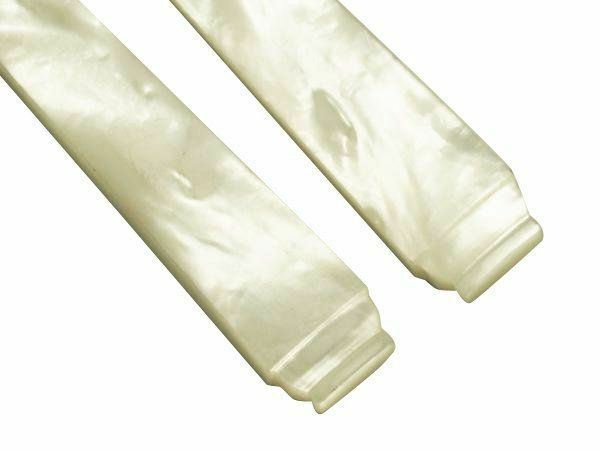 The outline has mainly been on handles, and the next question is how do you want the heel to look? But I feel that may be a question for another day. 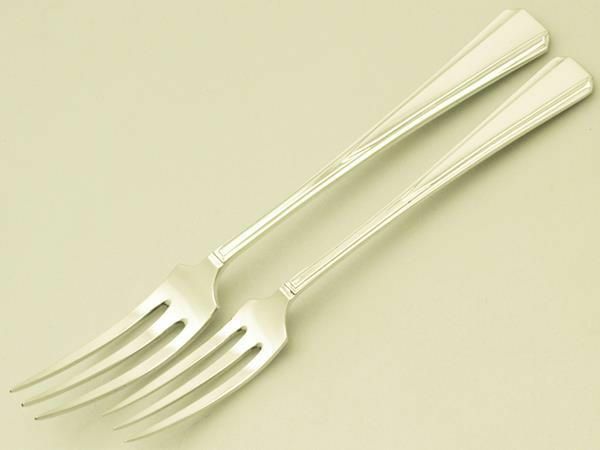 Have we spiked your interest for a new collection of cutlery? If so take a look online at our ranges, give us a call and we will be thrilled to help you start your journey. of the words ‘stem’ and ‘terminal’. 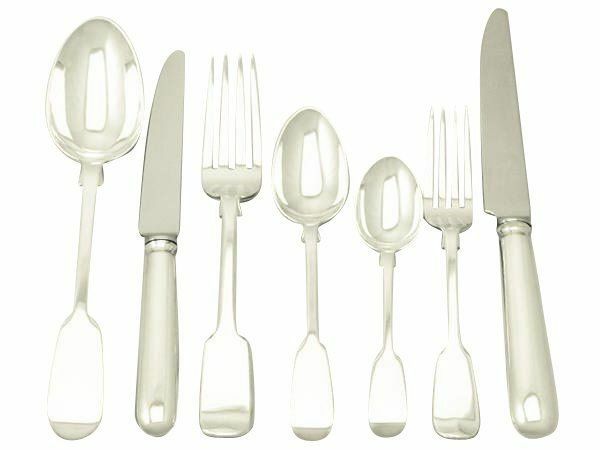 to describe my cutlery collection better! 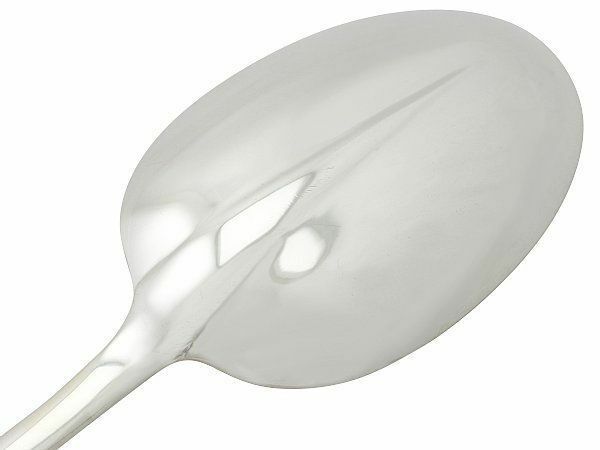 Previous Entry: What is a Mote Spoon?